Star Trek and Star Wars step aside, because women are in command in this fantastic vision of the future. An epic space opera. In 1976, Elaine Lee fled eastern North Carolina, taking refuge on the Isle of Manhattan. 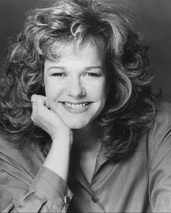 She landed acting work almost immediately, and in 1980, was nominated for an Emmy for her role on NBC-TV's The Doctors. With a group of young actors, she formed Wild Hair Productions and began co-writing plays with her sister, Susan Norfleet, including BRIEF CASES and THE CONTAMINATION OF THE KOKOMO LOUNGE. While working on the science fiction play, STARSTRUCK (Broadway Play Publishing), Ms. Lee met renowned fantasy artist, Michael Kaluta, and was lured out of television, into the exciting and much less profitable world of comic books! Specializing in sci-fi, fantasy and horror comics, Elaine is best known as the writer/creator of Vamps (with artist William Simpson, for DC/Vertigo) and Starstruck (with artist Michael Kaluta, for Heavy Metal, Marvel and Dark Horse). Lee and Kaluta subsequently produced a Starstruck spin-off, The Galactic Girl Guides, for Dave Stevens' The Rocketeer Adventure Magazine (Comico). Elaine created and wrote the sci-fi series BrainBanx (with artist Jason Temujin Minor, DC/Helix), as well as The Transmutation of Ike Garuda (with artist, James Sherman for Marvel/Epic). Some of her other comics work includes Saint Sinner (with Max Douglas, Clive Barker/Marvel), The Steeltown Rockers (with Steve Leialoha, Marvel), Ragman: Cry of the Dead (Gabriel Morrisette, DC Comics), Indiana Jones and the Spear of Destiny (with Will Simpson & Dan Spiegle, Dark Horse), and scripted a Prince Valiant mini-series (with Charles Vess & John Ridgeway, Marvel Comics). Ms. Lee's short SF stories have appeared in the magazines Heavy Metal, Eclipse, Epic Illustrated, and Taboo. Her collections of spicy science fiction stories, Skin Tight Orbit, Vols. I & II (NBM), and the trade paperback of the original Vamps, can be found in book stores and comic shops. Vamps and Starstruck, have been translated into numerous languages, from Norwegian to Brazilian Portuguese. 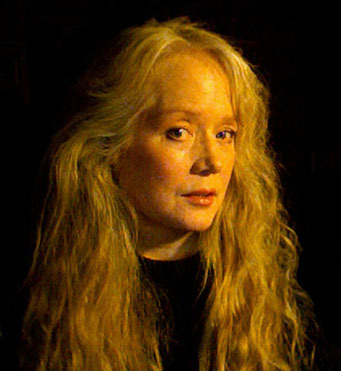 From 1995 – 2000, Elaine wrote story, characters, game events and a series bible for the computer role-playing game Secret of the Black Onyx (Blue Planet Software) and served as director of motion capture for that project. From 1997 – 2001, Elaine helped to develop, then served as head writer for the CGI cartoon series, Stevie Stardust (Stardust Entertainment/Hallmark Entertainment). During 1999, Ms. Lee and her sister, Susan Norfleet, scripted episodes for the animated series Troll Tales (A-Film). In 2001, Lee sold a story/pilot for a virtual reality thriller (Firewalls) to Stardust Entertainment. Under the name Georgia Sullivan, she and her sister penned the humorous self-help book, Porch Dogs, published in 2004. From 2006 – 2008, Elaine developed and wrote animation scripts for Niolan, a Belgian company creating kids' cartoons for the European market. Elaine produced new material for a 13-issue series of the digitally remastered Starstruck, with all new painted color by Lee Moyer (IDW, 2009-2010). 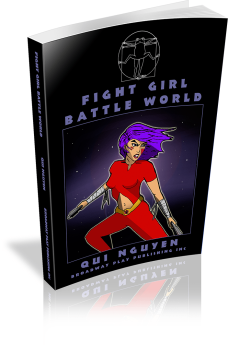 The critically acclaimed series includes new pages of art, never before published Galactic Girl Guide stories and special features. An 8"x12", 360-page hardback collection of the series, Starstruck Deluxe Edition, was released in March 2011, and is now available on Amazon. Her audio adaptation of the original play Starstruck was released by The AudioComics Company (Oct 2010) to universally positive reviews and is available as a 2-DC set, or as MP3 downloads from iTunes, Amazon, CD Baby and Audible. 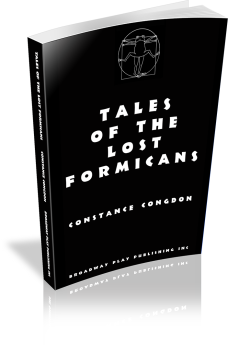 Elaine's short story "Mischief" appears in the anthology Chicks in Capes, from Moonstone Books. The last issue of her comic mini-series Murder on Mars, based on 1960s blonde bombshell pulp detective Honey West, is about to be released. And keep an ear out for Lee's audio play, commissioned by the National Audio Theatre Festivals, TransMars Tango, starring Philip Proctor, of Firesign Theatre fame! Currently a producer with The AudioComics Company, Elaine is busy turning her Honey West series into a script for an audio movie. She's also chipping away on a fantasy novel, The Soulfire Gate, and is working with her son, Brennan Lee Mulligan, on an undisclosed project. Elaine and her musician husband, Richmond Johnston, live in upstate New York and are the parents of three incredible sons and a black cat named Rupert. Residents of the Hudson Valley may have seen articles by Elaine in InsideOUT, The Blue Stone Press, Ulster County Press and The Weekender. 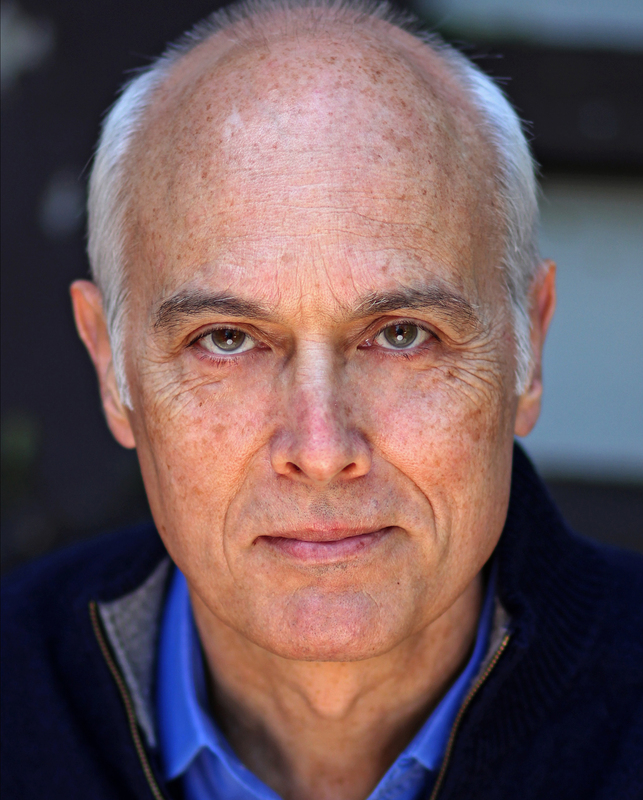 Dale Place resides in the Boston area and makes his living as an actor in New England and regional theatre. He may also be seen (sometimes briefly) in the films The Fighter, The Proposal, Gone Baby Gone, and What's Your Number? He and his wife enjoy traveling to Europe frequently. Dale found trying to be imaginative enough to write a play such a humbling experience that he has never attempted it again. The sci-fi spectacular FIGHT GIRL BATTLE WORLD blends stage combat, puppetry, and multi-media to create a uniquely cinematic experience for the live stage. A comedy about Michael, a Kierkegaard-quoting intellectual in small town Wisconsin, who doesn't know what to do about the “AWOL alien busboy” who has decided to spend his shoreleave in Michael's living room watching reality TV and eating Cheese Doodles. 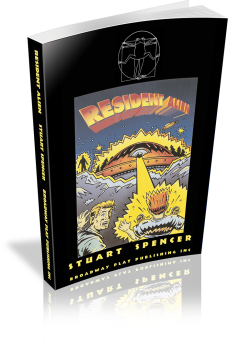 Will the real alien please stand up?